Shop Super Steals for New Deals Every 4 Hours. Woolrich and John Rich and Bros up to 65% Off; Wool Blankets, Clothing and More. New Styles Up to 50% off. Sunglasses Up To 60% off. Up to 50% off Thermarest. MountainSteals.com was born out of a desire for more.... and for less: More of the best outdoor products from the top brands for less money. They are outdoor enthusiasts who were frustrated with the current state of online outdoor retail. 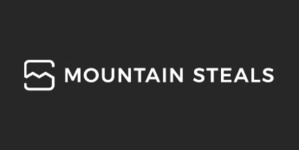 With 60+ years of buying experience and relationships in the outdoor industry, they decided to build our own site: Mountain Steals. Their focus is on people like them – outdoor enthusiasts who want gear, jackets, clothing and footwear that perform to the highest standards.